Varun K. Ojha is a Postdoctoral Researcher at the Chair of Information architecture. His research focusses around Machine Learning and Computational Intelligence. He focusses on Neural Networks, Fuzzy Inference Systems, Evolutionary Computation. His particular interests in data analysis are computational modeling, approximation, feature analysis, dimensionality reduction, clustering, and optimization. He has been involved in the past with two industrial and multidisciplinary and cross-discipline projects: IPROCOM (The development of in silico process models for roll compaction) and DIRCAMG (Development of Intelligent Recognizer for Component Analysis of Sewer Gases). 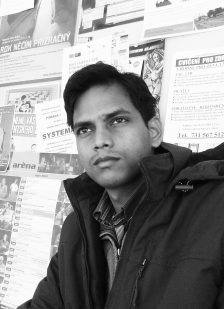 Varun K. Ojha is a Marie Curie Fellow and holds a Ph.D. (2016) degree in Computer Science, Communication Technology, and Mathematics from the Technical University of Ostrava, Czech Republic. He completed his Master of Technology (2011) and Bachelor of Technology (2008) in Computer Science and Engineering from WBUT, Kolkata India.